Photography courtesy of Canadian Wilderness Adventures. In the heart of the Callaghan Valley, just a few kilometres southwest of Whistler, I am steadily bumping and bouncing my way up a steep, sun-drenched hill, discovering the deep potholes and creek-ridden paths of an exposed snowmobiling track. 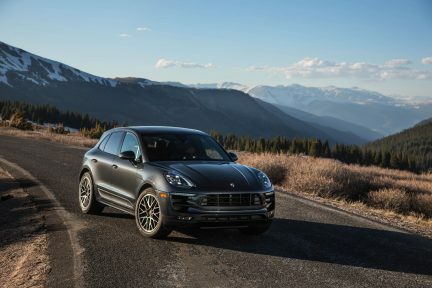 I raise my seat ever so slightly to see over the dashboard of the very white 2017 Porsche Cayenne S, taking an anxious gulp before cruising over what feels like the edge of a cliff. 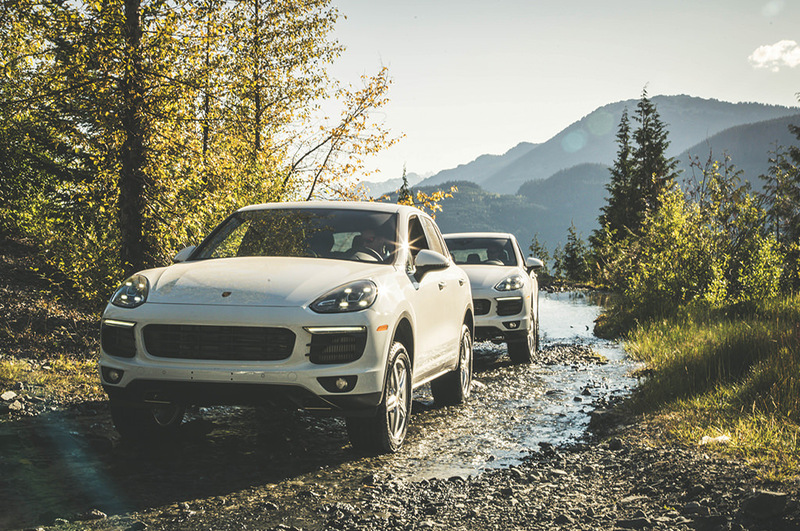 I do this willingly, as part of the Porsche Off-Road Experience: a three-hour driving journey created in conjunction with the Four Seasons Resort Whistler and Canadian Wilderness Adventures. 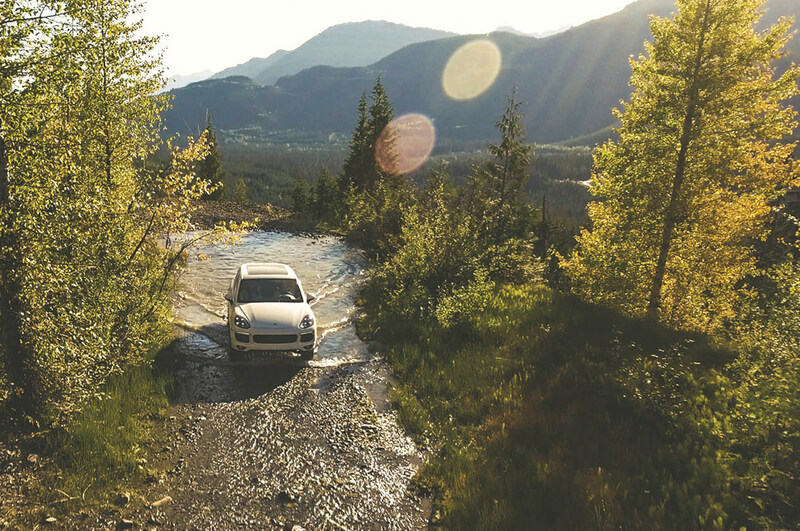 The exciting drive along the Sea-to-Sky and up into five kilometres of Callaghan Valley offers both domestic and international visitors a different look at the wild terrain of the West Coast. 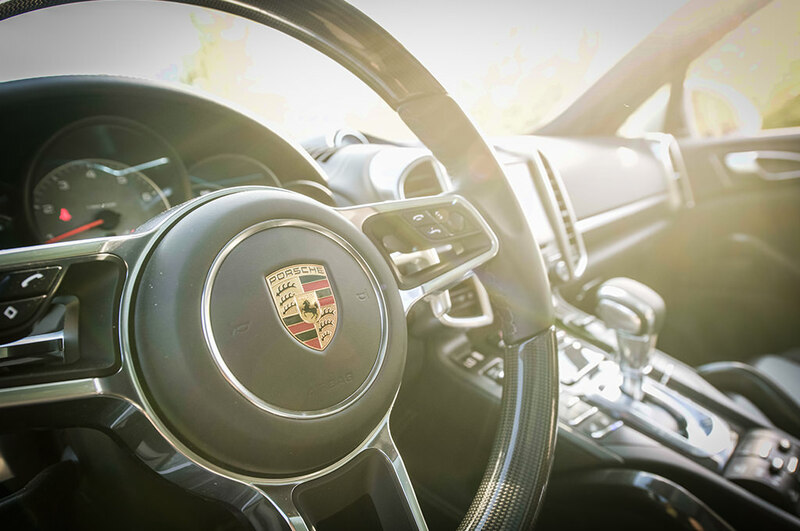 Launched in June 2018, it also serves as proof that the Cayenne can do much more than simply cruise pretty in urban centres. 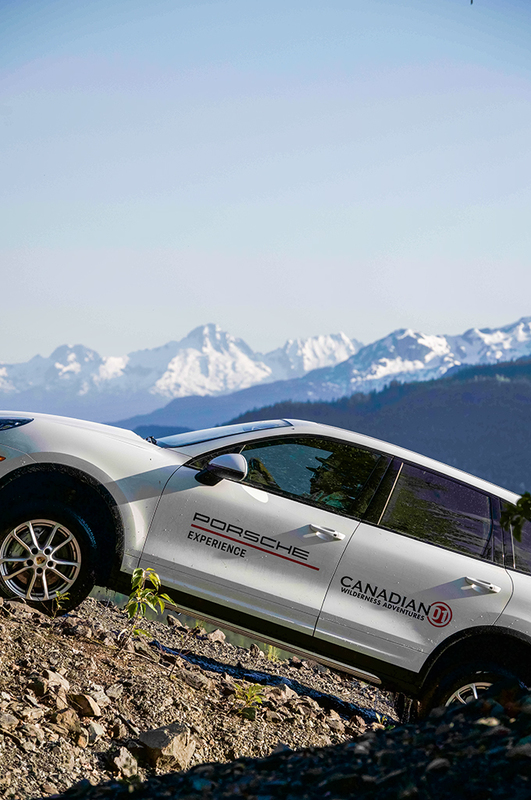 “They want to change people’s perception on what the Porsche Cayenne is,” says Nick Ryall, assistant operations manager at Canadian Wilderness Adventures and my driving instructor for the day. Ryall picks me up in the Four Seasons foyer and I jump into the driver’s seat as he explains that every guest at the hotel is able to partake in this Porsche experience. Participants can go in one vehicle, as I do today with Ryall by my side, or in as many as the entire six-car fleet while the instructor leads in his own. What people don’t realize, continues Ryall as we boot it up the Sea-to-Sky, arriving at the mouth of Callaghan Valley, it that the Cayenne is an off-road-capable vehicle. He instructionally shows off the mechanics of the car, including the ability to set off the centre locking differential for pothole adaptation (meaning tires wont spin at the same time), and the adjustment of the height clearance—all done from the comfort of a plush interior. 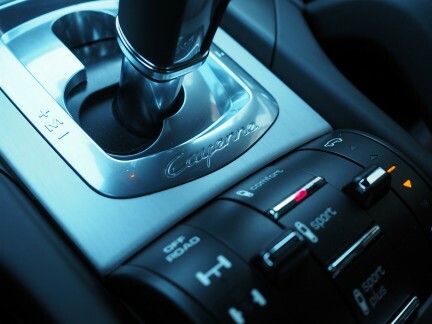 The driving route is also mapped out on each Cayenne S GPS system, so no driver will ever get lost. “I remember the first time we had these I kind of rolled my eyes,” shares Ryall honestly. “‘We’re going to do what with what?’ I thought we were going to destroy the vehicles. But they are super capable and did really well. So, there is a little bit of education with the customer that is necessary.” I try my hand, or should I say wheels, at 45-degree angles on the mountainside before driving over rocks and dust and the like, which leads me to an old mining site with a manmade ATV track. We stop at a beautiful crystal lake and later arrive at a stunning mountain viewpoint before heading down and splashing through a small creek, joyfully sending water everywhere. 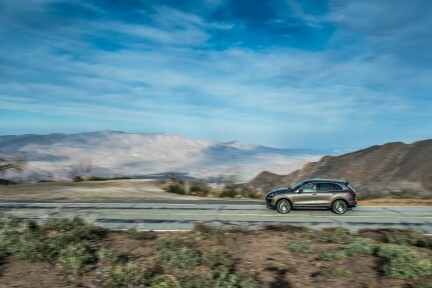 In 2002, Porsche created its first-ever SUV with the Cayenne, and in 2007, the German car brand participated in the Transsyberia Rally: a journey across the impressive Mongolian plains, the Gobi Desert, and the Ural Mountain range. Among the attendees was the owner of Canadian Wilderness Adventures, who now wants every driver to experience a slice of that adrenaline here in Whistler. As we cruise back to the comforts of the Four Seasons, where a much-needed hummus and vegetable snack awaits me at the onsite restaurant Sidecut, I look out at the blue lakes along the highway. 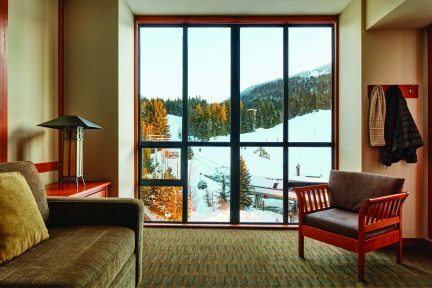 This expedition offers the best of both luxury and ruggedness but also of both athleticism and elegance, just like any truly enviable Whistler experience.